Welcome to the Brandeston Village Web site. On these pages you can find out what’s going on in the village, reports on events that have taken place, contact points for all aspects of Brandeston life and lots, lots more. Only the new area is being updated from now on. Our monthly lunch seems to be going from strength to strength and we are very grateful to everyone who supports it through their attendance and the people who help us with the many tasks involved. Jane and I are wondering if there might be a demand for a 'meals on wheels' type extension to the lunch for anyone who might be housebound or poorly. I think we would have to restrict the delivery area to Brandeston and Kettleburgh, but in the first instance we would just like to gauge demand. So, if you would like to use this new service (sadly only once a month, usually the second Tuesday) or know someone who would, please let Jane (685190) or me know and we will get it organised. working towards reducing crime and antisocial behaviour by giving young people a fuller meaning to their lives, enhancing their appreciation of and respect for others. 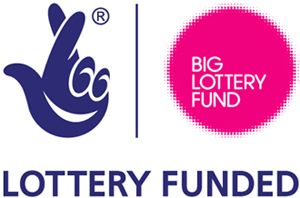 With grateful thanks to The National Lottery through its Big Lottery Fund, the village hall has installed a hearing loop around the main hall. Its installation will allow people to hear much better whenever amplified sound is used by switching their hearing aids to the T position.